Colbrow Medics is a leader in the Event First Aid Melbourne industry, delivering reliable and professional event first aid and Event Paramedics throughout Melbourne, Geelong, Ballarat, Gippsland, Warnambool, Shepparton, Wodonga, Bendigo as well as Mt Buller, Mt Hotham and Mt Baw Baw. 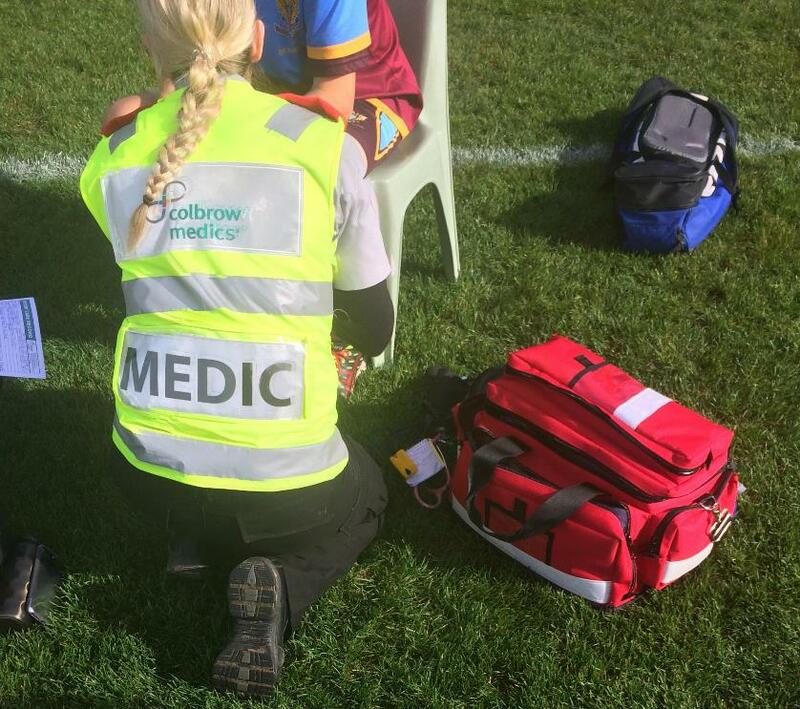 Colbrow Medics has set the standard of first aid for events and covers a wide range of events, including Sporting Clubs, Motor Racing, Equestrian, School Sport, Football, Soccer, Netball, Local Councils, Music Festivals, Government throughout Melbourne. Colbrow Medics will conduct a risk assessment for your event first aid Melbourne requirement and can provide a Medical Management Plan according to your event first aid requirements. With the experience of having provided qualified Event First Aid Officers, Event Paramedics, Lifeguards, Event Safety Officers, Doctors and Registered Nurses to all the major Universities, Schools MotoX and BMX Clubs in Melbourne, Victoria. All First Aid Paramedics will arrive fully equipped and prepared for any event first aid medical incident which may occur. Whether for events run by the student union, parades, Open Days, Graduations or examination days, all major Melbourne Universities have required the assistance of qualified First Aid Officers in the last 12 months. We value team work, commitment, and integrity, and we pride ourselves on our reliability. These are reflective of our core values of Team Work, Integrity, Quality, Flexibility, Growth and Trust-values that set us apart from our competitors. From the start of our engagement with our clients, we make a commitment to provide complete service, ensuring that specific individual and event-specific needs are met.